LC 20310. 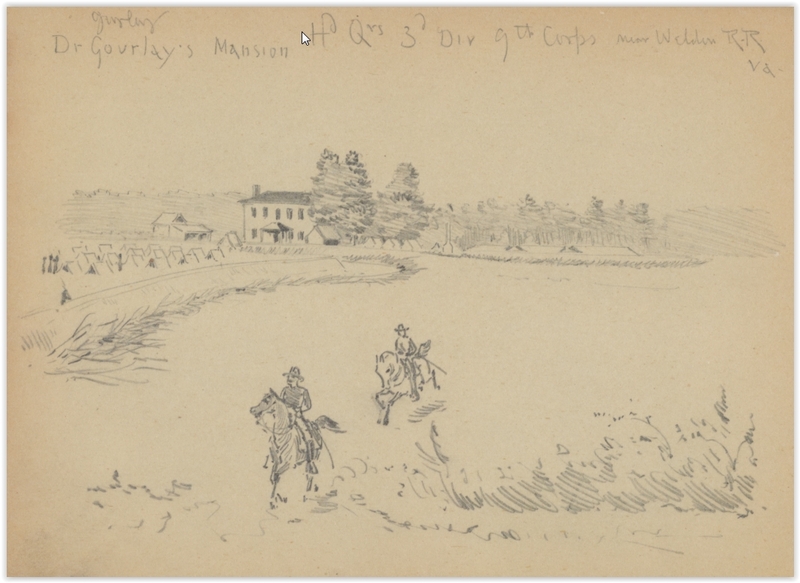 "Parke's Station, U.S.M.R.R. 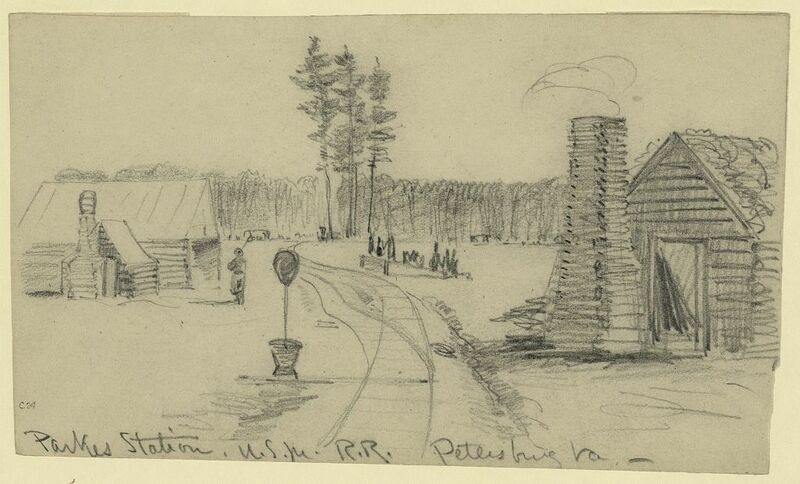 Petersburg," drawing by A. R. Waud. 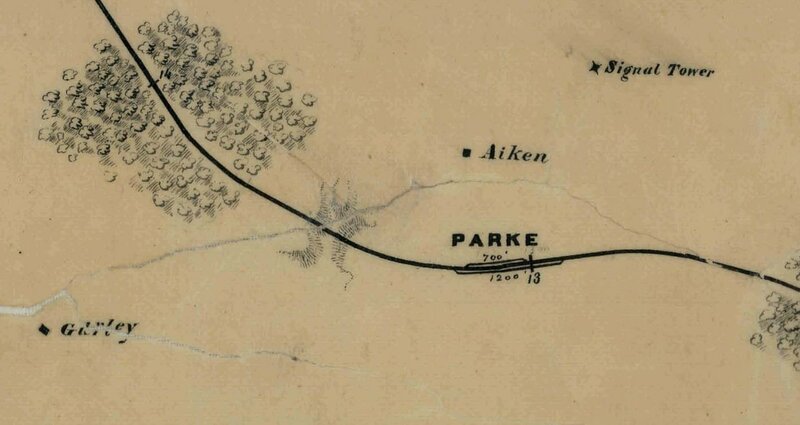 Detail of Parke's Station from NARA "Map of the City Point & Army Line." LC 35118. 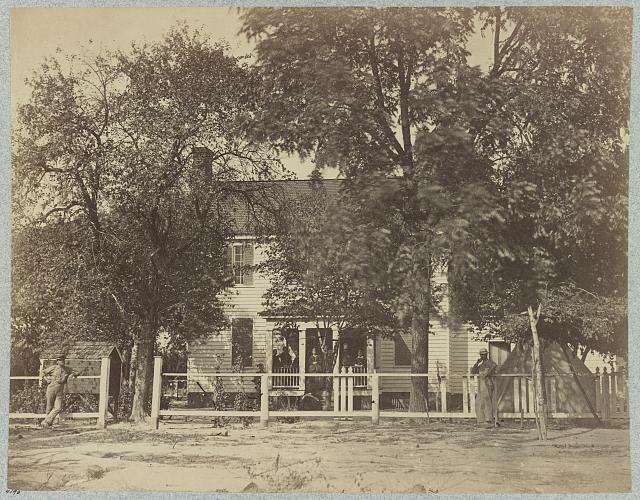 "Aiken House, in front of Petersburg, Va., near headquarters Army of Potomac" photographed by John Reekie, Feb. 1865. Becker Collection 32656 detail. 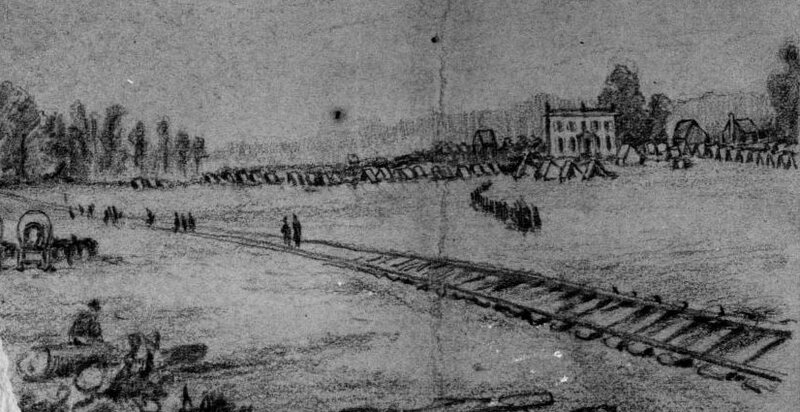 "U.S. Military Rail Road Passing the Gurley House." Andrew McCallum, artist. Charles Wellington Reed, Reed papers, Manuscript Division, Library of Congress.